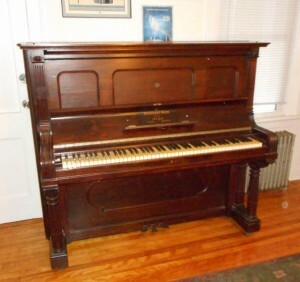 1880’s Rosewood Steinway upright . This is the biggest upright Steinway ever made, and it has a wonderful sound.. I restrung it some 15 years ago, so it’s tuned to A440 and I rebuilt the action as well , so it really works. A great bargain for $2500 for someone who loves a nice piece of Victorian furniture that is also a working Steinway.